Two former executives at dairy group Robert Wiseman have joined the board of a Scottish biotech firm in the wake of a £2 million funding deal aimed at rapidly growing the business. 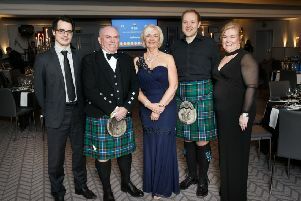 Martyn Mulcahy and David Dobbins – who had been operations director and commercial director at the Wiseman group before its sale to Muller – were both early stage investors in Scot Bio which has developed a patented process based on algae to produce natural colourings used in food products. The Glasgow-based firm has also appointed Nick Trott, finance director at Buckinghamshire-based Sorbon Investments, to its board. Sorbon is owned by English housebuilding millionaire Michael Shanly, who was a significant investor in Scot Bio’s recently oversubscribed funding round that also attracted investment syndicate Kelvin Capital, Investing Women, Oghma Partners and private investors in the UK and US. Tom Craig, Scot Bio’s chairman said the three appointments bring “unrivalled skills and experience” in building businesses in the food sector. “Scot Bio is at an extremely exciting stage with patented intellectual property, significant new investment and an exceptional team of scientists behind it. With the guidance of our outstanding board we are looking confidently to the future,” he said. Based in the BioCity Glasgow incubator, Scot Bio is aiming to capitalise on growing global demand for products free of artificial colours. It supplies consumer goods companies with traceable, natural blue and green colourants produced using phycocyanin, an algae derived pigment traditionally grown in ponds. Scot Bio has collaborated with the University of Edinburgh and Newcastle University to develop systems able to produce phycocyanin in sufficient quantities to meet demand from food firms.